Shelby materials produces, imports and sells the finest aggregates to the meet the specification of our job. Aggregates are available for pick-up or delivery from our aggregate plants located in Shelbyville and Edinburgh, Indiana. Delivery areas vary by project. Call our dispatcher to find out if delivery is available to your home. Know the following information before you call the dispatcher. The application you need material for – i.e. driveway stone, filling in a hole in the yard, drainage materials etc. Who do we call for ordering or delivery? 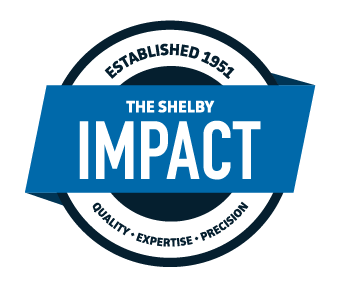 Contact the Shelby’s Aggregate Plant that’s nearest you. Aggregate deliveries are available in solo or truck and trailer. Our solo trucks can hold up to 15 yards. The width of our dump trucks are approximately 10 feet, the trucks mirrors stick out further and prefer a 12 foot width opening. Remember to look above and see if there are branches or wires that may interfere with your truck delivery. Do you need to be on site when delivered? You do not need to be onsite when we deliver your aggregate. The dump location will need to be clearly marked and payment arrangements made ahead of time. Please tell us if you do not plan on being there. You can either pay cash, check, or credit card (we accept Visa, Mastercard, or Discover) to the driver or call us with your credit card information prior to delivery. Providing there are no branches and wires in the way we will spread the gravel. A “spread” is when the driver dumps the rock out while moving forward using the tailgate to help control the flow of the rock. This is a courtesy we provide for our customers. The pricing is based upon the location, product, and fees. We can give you an estimate and approximate dollar amount.